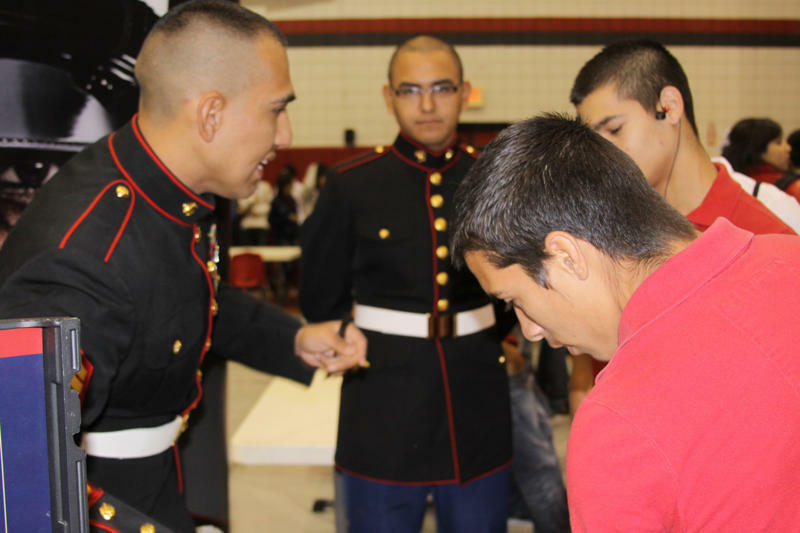 The RGCCISD Career and Technology Department hosted a Career Fair for all 10th grade students from Grulla High School and Rio Grande City High School on November 30, 2010. The event was geared at educating the approximatley 800 - 10th grade students on educational and employment opportunities. The Fair brings colleges, private and government agencies to the students so that they may gain information on career choices. The program also showcased the specialty programs from the high schools that allow students to earn college credits and even specialized certificates while attending high school. The students were encouraged to ask questions, take brochures and other items with information from the over 50 presenters attending. Mrs. Agueda Garza-Career Specialist, Mr. Arturo Menchaca-Career and Technology Director, Mrs. Roxanne Garza and Mr. Rick Solis College and Career Advisors from both high schools and staff would like to thank all of the presenters for the guidance and leadership provided to the students.